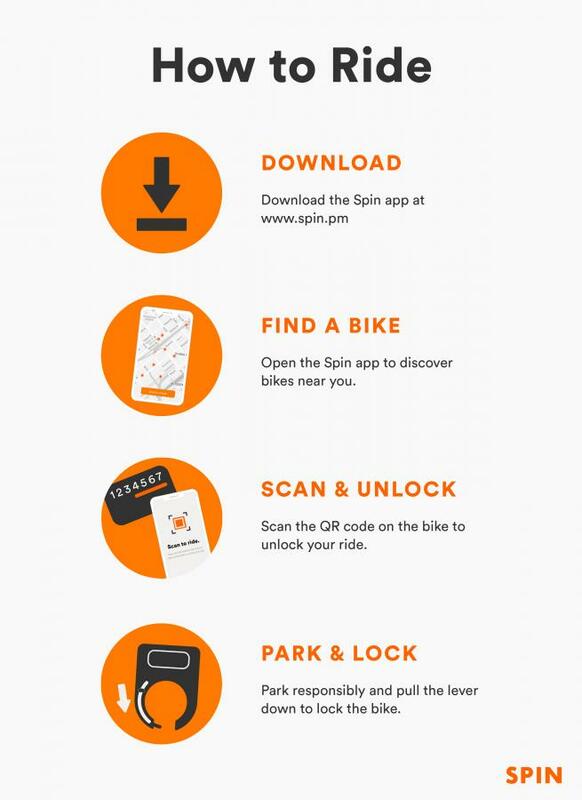 Spin is a nationwide dockless bike share program. With their fleet expansion into Jefferson City, riders now have an opportunity to rent bikes and ride throughout the community, all while not having to worry about docking their wheels in a specific location. Go for a spin and explore the city at your own pace! Issues such as bikes blocking right-of-way or technical problems can be reported to Spin. Email support@spin.pm or call (888) 262-5189. If possible, have the location and bike number available.